Stewart Parnell of Peanut Corporation of America gets prison for salmonella outbreak. 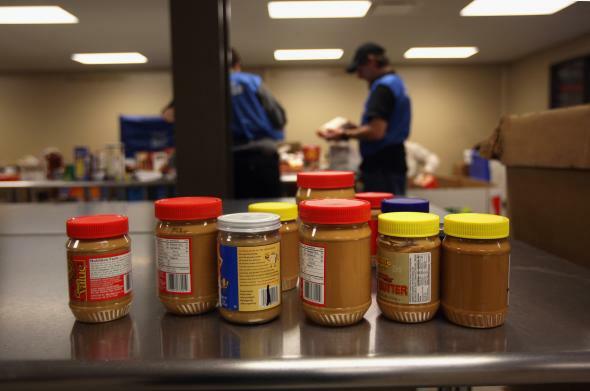 Peanut Corporation of America shipped salmonella-tainted products across the country. The former owner of a peanut company was sentenced to 28 years in prison on Monday for faking lab results to show salmonella-tainted peanut products were safe and then shipping the products to customers. Stewart Parnell of the now-defunct Peanut Corporation of America faced 803 years in prison after he was convicted of 70 felony charges last year. A salmonella outbreak in 2008-2009 was linked to the deaths of nine people and hundreds of illnesses, triggering one of the largest food recalls in U.S. history. Court documents revealed that Parnell approved shipments despite containers that were partially “covered in dust and rat crap.” In one e-mail, after being informed that a customer’s shipment might be delayed because the results of a salmonella test were not yet available, Parnell wrote, ‘S—, just ship it. I can’t afford to loose [sic] another customer.” As the salmonella outbreak spread, inspectors from the Food and Drug Administration descended on the Georgia plant and documented a litany of unsanitary conditions, including mold, roaches, dirty equipment, holes big enough to allow rodents inside and a failure to separate raw and cooked products. Parnell’s sentence was the harshest ever handed down for a food safety case, according to the Justice Department. The 61-year-old’s brother, Michael Parnell, who worked as a food broker for the company was sentenced to 20 years, and a manger at the company, Mary Wilkerson, was sentenced to five years in prison. All three are planning to appeal, according to their lawyers.